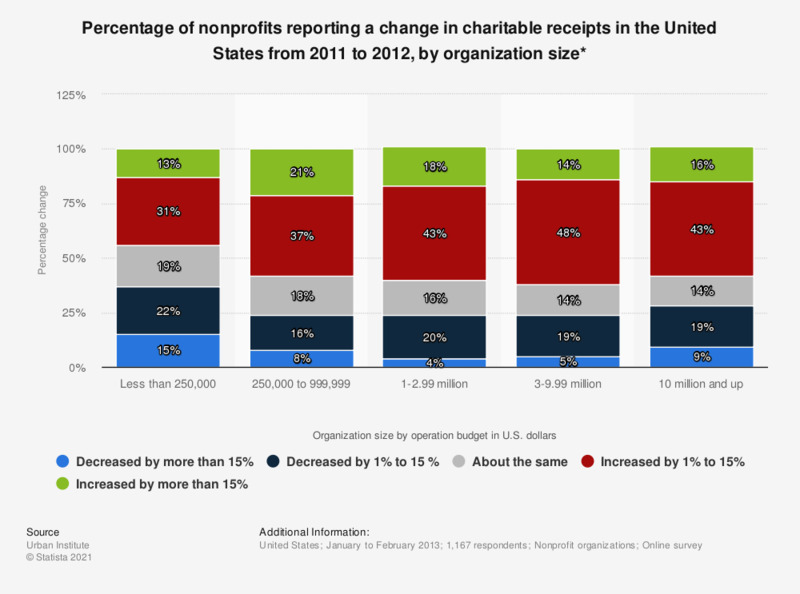 This graph shows the percentage change in charitable receipts received by nonprofit organizations in the United States from 2011 to 2012. The responses are distinguished by organization size. In 2012, 43 percent of organizations with more than 10 million U.S. dollars expenditure, said that their charitable receipts increased by 1 to 15 percent from 2011 to 2012.